Article first published as New Zealand Journalistâ€™s Indecent Slur on Indian Chief Minister on Technorati. Racism is still standing on strong roots around the world it seems. Several numbers of human rights’ organisations, international anti-racism promoting organisations and equality laws are there in the world, but are not able to curb the inhuman, indecent and vulgar attitudes of the vulgar people, even among the intellectual world. 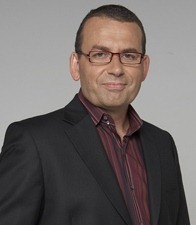 Adding more insult, the particular clip was promoted on the Video Extras section of TVNZ’s website under the tag “Paul Henry laughs about the name Dikshit.” After receiving at least four complaints about the clip, as reported by the Sydney Morning Herald on its website a day ago, the clip has been removed now. Henry went on to produce his racial vulgarity ridiculing the New Zealand’s Indo-Fijian Governor General Sir Anand Satyanand right in the conversation with New Zealand’s Prime Minister John Key. Paul Henry asked the Prime Minister whether Anand was a New Zealander or not, and whether the PM was going to pick someone who looked more like a New Zealander next time. Chairman of Germany’s Turkish Federation, Kenan Kolat, called for central bank board member Thilo Sarrazin to be removed from his post after fresh comments criticizing Muslims in Germany. "I am calling upon the government to begin a procedure to remove Thilo Sarrazin from the board of the central bank," Kolat told the German daily newspaper Frankfurter Rundschau on Saturday, August 28. 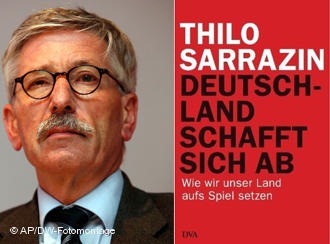 In his book "Deutschland schafft sich ab" ("Germany does away with itself"), Sarrazin claims that members of Germany’s Muslim community pose a danger to German society. Sarrazin, a member of the Social Democrats (SPD) and Berlin’s former finance chief, was reported in June as saying that members of the Turkish and Arab community were making Germany "more stupid." With his book, Kolat said, Sarrazin had overstepped a boundary. "It is the climax of a new intellectual racism and it damages Germany’s reputation abroad," Kolat said. In a serialization of the forthcoming book in the German popular daily newspaper Bild, Sarrazin said that Germany’s Muslim community had profited from social welfare payments far more than they contributed, and that higher birth-rates among immigrants could lead to the Muslim population overtaking the "indigenous" one in terms of numbers. Merkel’s chief spokesman Steffen Seibert said on Wednesday that many people would find the remarks "offensive" and "defamatory," adding that the chancellor was concerned. Members of the SPD have distanced themselves from Sarrazin’s comments, while Germany’s Green and Left parties have called for his removal from the central bank’s board. A Bundesbank spokesman said that Sarrazin’s latest remarks were personal opinions, unconnected with his role on the board. Australia condemned on Monday the killing of an Indian student in Melbourne, as India called for an end to the spate of attacks against Indian students which has damaged Australia’s multi-million dollar foreign student sector. Accounting graduate Nitin Garg, 21, originally from the state of Punjab in northern India, was stabbed to death on Saturday night on his way to a job at a fast food outlet in Melbourne. Police said the motive for the attack, which they described as vicious, was not known. Indian media have labelled the series of attacks against Indian students in Australia as racist, but police and the Australian government have said the attacks are purely criminal. “I obviously unreservedly condemn this attack,” said Australian Deputy Prime Minister Julia Gillard. “This is a nation that welcomes international students. We want to make them welcome, this is a welcoming and accepting country,” Gillard told reporters on Monday. The governments of India and Australia have condemned the killing of an Indian student in the Australian city of Melbourne on Saturday night. Indian Foreign Minister SM Krishna urged the Australian authorities to “speedily book” the people responsible for the killing of Nitin Garg. Mr. Garg was stabbed to death on his way to a fast food restaurant in Melbourne. There have been a number of attacks on Indian students in Australia in the past year. Australian police blamed the attacks on opportunistic criminals, but some Indian students see them as racist. The attacks have caused outrage in India and prompted Australian PM Kevin Rudd to reassure the Indian government that Australia is not a racist country. Melbourne police said that the motive for the latest attack on Mr. Garg, 21, an accounting graduate from the northern Indian state of Punjab, was not known. As part of a recent escalation of political arrests in the West Bank village of Bilin, Abdallah Abu Rahmah, a school teacher and coordinator of the Bilin Popular Committee, was arrested by Israeli soldiers. At exactly 2am last night, seven Israeli military jeeps pulled over at Abdallah Abu Rahmah’s residence in the city of Ramallah. Soldiers raided the house and arrested Abu Rahmah from his bed in the presence of his wife and children. Abu Rahmah is a high school teacher in the Latin Patriarchate School in Birzeit near Ramallah and is the coordinator of the Bilin Popular Committee against the wall and settlements. A previous raid targeting Abu Rahmah was executed with such exceptional violence on 15 September 2009 that a soldier was subsequently indicted for assault. Israel approves new homes near Jerusalem, defies U.S. The following article was published in renowned International Magazine ‘Le Monde Deplomatique’ which is printed in French and English mainly. Recently it began its editions in few other languages. It is well known for its unbiased dealing with the subject in question. It mainly concentrates on International political and financial affairs. Though the present article came in March 2007 issue, in view of its importance in the context of recent developments I’m reproducing it here for this blog’s readers. Ehud Olmert and Mahmoud Abbas may have afﬁrmed that they want a two-state solution to the Israel-Palestinian conﬂict, but it may be more promising to return to a much older idea. process failed to bring Palestinians their independence and the withdrawal from Gaza has not created a basis for a democratic Palestinian state as President George Bush had imagined: the Palestinians are watching their territory being fragmented into South African-style Bantustans with poverty levels of over 75%. The area is heading to the abyss of an apartheid state system rather than to a viable two-state solution, let alone peace (1).